Ministry of Culture, Sports and Tourism organized some activities to welcome “Great national solidarity – Vietnam cultural heritages” week at the Culture-Tourism Village of Dong Mo, in Ha Noi's Son Tay Town from November 18-24. Accordingly, some organizers will hold a range of traditional festivals, performances and dances, as well as the daily activities of people from the North, South and those who live on rivers and mountains. At the village, visitors will get the chance to witness talented Ha Noi cooks prepare the capital's traditional dishes during an exhibition which will run throughout the week. The exhibition will also present the best of Ha Noi's traditional handicraft villages, with artisans showcasing their talents. The well-known floating market of Cai Rang and Phung Hieu of Can Tho Province will be recreated as part of the festivities. Diverse activities will be held during the week, including a Highland folk wood sculpture camp, cultural exchanges, traditional craft village introductions and history lectures, Bay Nui cow racing, and art performances, a performance of gongs of the Central Highlands, an exhibition to introduce traditional culture of Vietnamese people, a space of traditional village of Vietnam. Those who missed the Bay Nui cow race earlier this month in An Giang Province are in luck because 70 jockeys and six oxen will travel to Ha Noi and race in Dong Mo. Another highlight will be a sculpture camp featuring 30 artists from the Central Highlands provinces of Gia Lai, Dak Lak and Kon Tum. Kites and flying kites are expected to play a starring role throughout the week. Additionally, workshops on preserving and promoting heritage and cultural values will be held during the event. 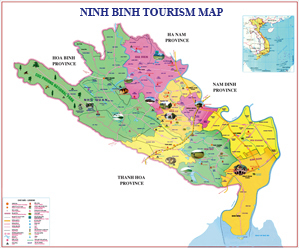 The event enhances the Vietnam great national unity bloc; promote the land and people of Vietnam; and advertise the image of the village, the common house of Vietnam’s 54 ethnic groups, making it an interesting destination for domestic and foreign visitors.